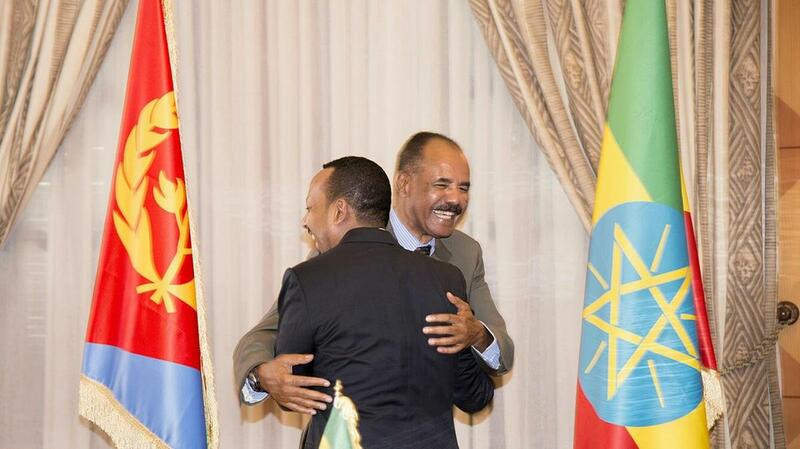 July 10, 2018: Ethiopia and Eritrea declared an end to their state of war following landmark talks between both neighbouring nations. Their historic peace agreement will restore the opening of embassies, development of ports, and the resumption of flights. This effectively ends a decades-long cold war over border disputes. The Joint Declaration of Peace and Friendship was signed in a bid to put an end to the state of war between both countries. 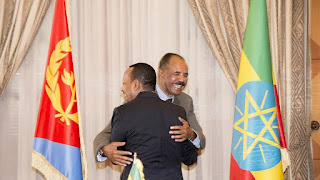 The agreement was signed by Eritrean President Isaias Afwerki and Ethiopian Prime Minister Abiy Ahmed on Monday morning at state house in Asmara, the capital of Eritrea. The two nations appear to have agreed to participate in the development of ports, in a fillip to the economic development of both nations. The deal has also included a resumption of phone connections. The two leaders shared a brotherly embrace.